I have yet to find seafood I don’t like so I decided to give rollmops a try, even though I had heard that a lot of people don’t like them. 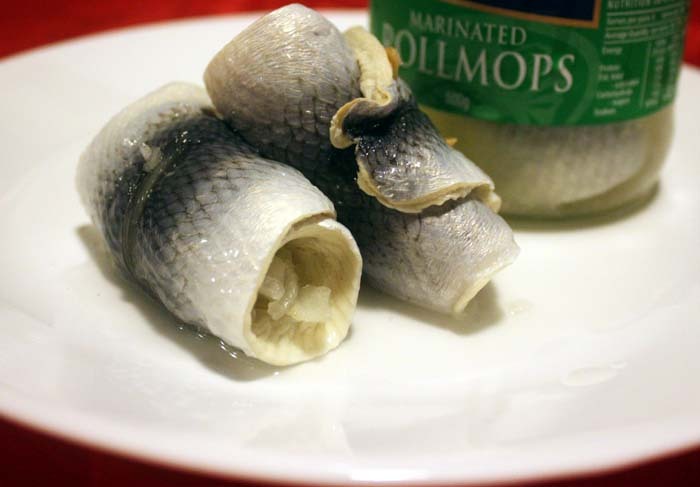 I like fish and I like everything I’ve ever tried pickled, so how could I not like rollmops which are pickled herrings. As expected, they tasted strongly of vinegar (not a bad thing to me) and the fish flavour was also strong. These were from a supermarket jar, produced in Estonia, so I guess other brands may taste different. I just ate them on their own and I really quite liked them but they are very strong and I think it would be easy to have too many. I will eat them again, I think they would be really nice in sushi rolls, so I’ll try that sometime. Apparently the fresh rollmops in Holland are even better.